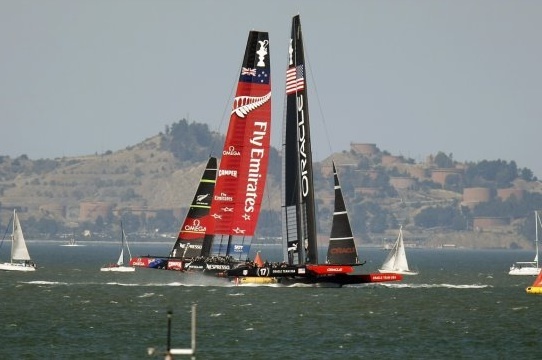 Advertising is big in sports, as in most fields–getting noticed, exuding glam. But sometimes it seems counterproductive. 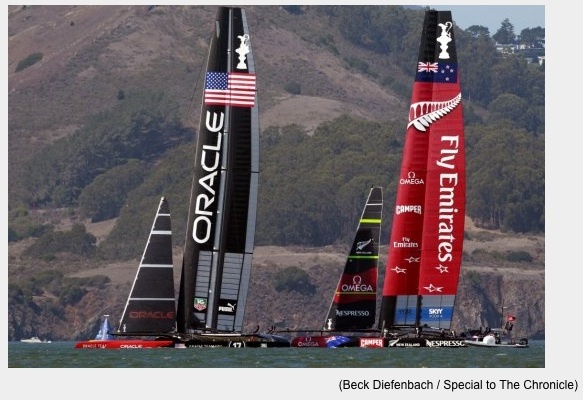 As in the case of these immense and immensely expensive America’s Cup boats. The Emirates boat is in the worst shape, larded with advertising from head to halyard, but both Emirates and Oracle are so visually muddled that the effect is almost like camouflage. The eye has trouble embracing them as whole objects.